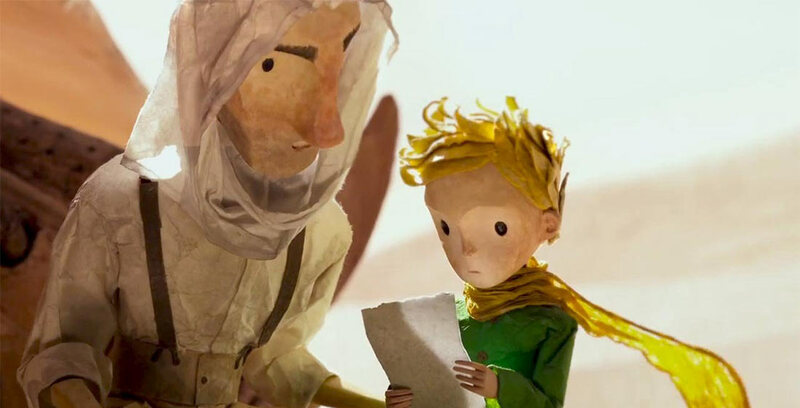 Mark Osborne’s The Little Prince is finally getting its U.S. release today—on Netflix. It’s been a long road for the hybrid stop-motion/CG film. 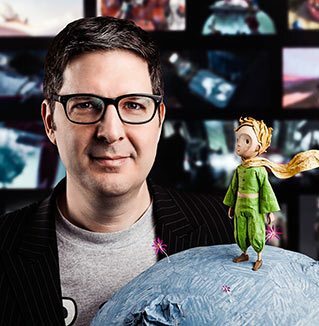 If you’ve been following the career of Mark Osborne over the last few years, you’ll know the director put his heart and soul into his version of The Little Prince. 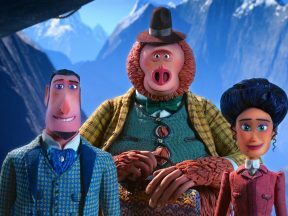 Backed by a consortium of French production partners, including ON Animation Studios, Onyx Films, and Orange Studio, Osborne’s film grossed nearly $100 million globally and won the 2015 César (France’s equivalent of the Oscar) for best animated feature. Paramount was set to release the film domestically in March of this year before suddenly dropping the picture. 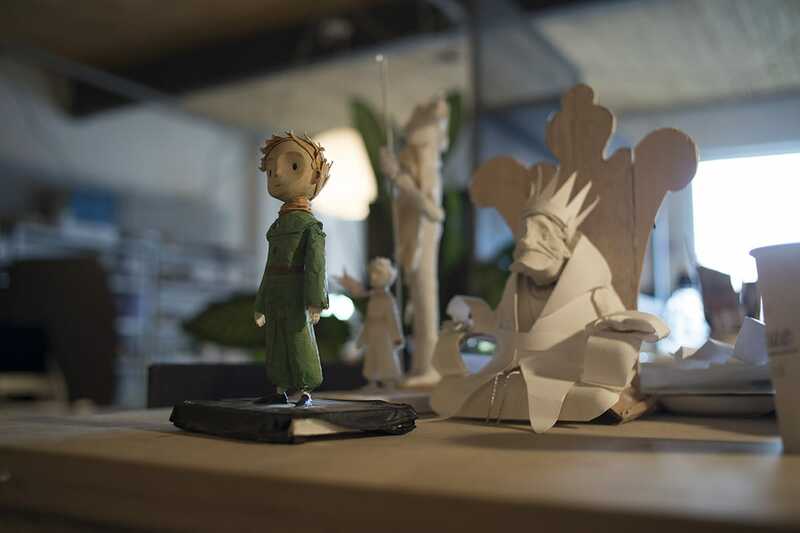 Now Netflix has the distribution rights and will stream The Little Prince to its 47 million U.S. subscribers. Additionally, in Los Angeles and New York, Netflix is giving The Little Prince a theatrical run starting today, in part so that the film can complete its qualification process for the Academy Awards. Cartoon Brew spoke to Osborne about how this very personal feature got off the ground, how he nearly didn’t make it, and the creative difference of working in stop-motion versus computer animation. The director went back to his independent filmmaking roots, finding the process of financing a tough one. 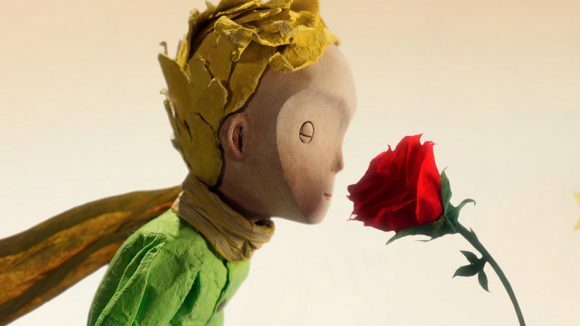 Then a group of French producers approached Osborne for help in crafting an animated adaption of Antoine de Saint-Exupéry’s beloved classic, The Little Prince. “They had convinced the estate that they could make an animated feature but they didn’t know what to do or how to go about it,” said Osborne. 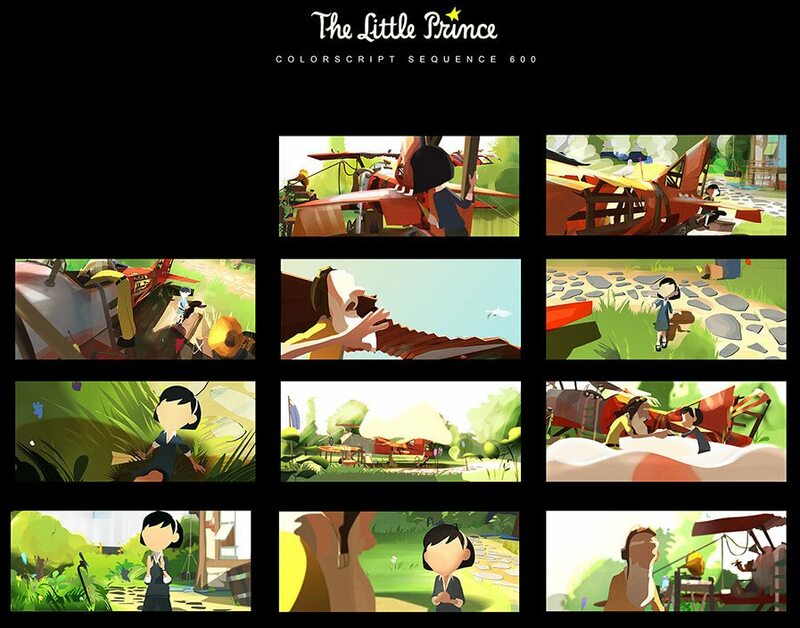 Part of the colorscript for “The Little Prince” painted by Celine Desrumaux. Another issue he had was whether he could bring anything new to such a famous story. There had been illustrations and cartoon versions of the The Little Prince for many years and the director felt that everyone already had an idea in their minds of what the film would be. The Aviator and The Girl in one of the CG sequences in the film. Luckily, Antoine de Saint-Exupéry’s estate saw merit in Osborne’s general approach, and gave their blessing to a film that was more a tribute to the book than a re-telling. It still took Osborne about nine months to crack the pitch and work out the core ideas, especially convincing people how he was going to represent and distinguish between reality and the world of imagination. In order to create both worlds, while remaining an independent production, Osborne began production in Paris before overseeing two different studios in Montreal. 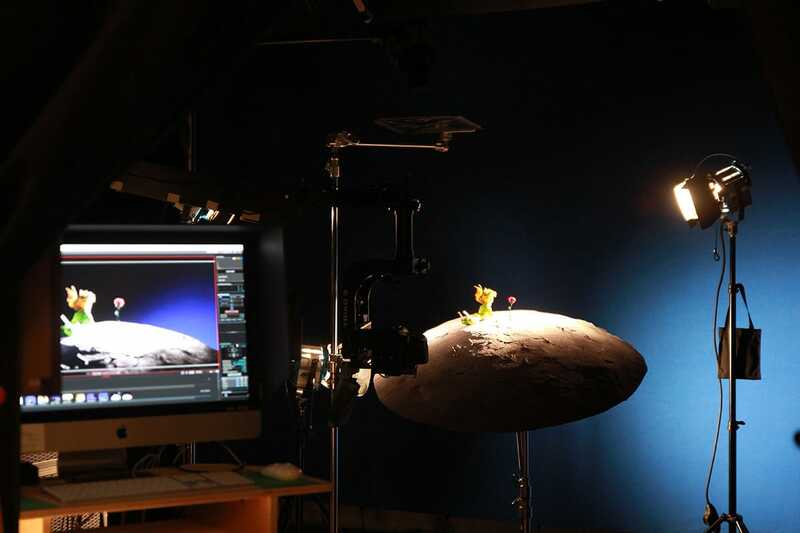 One was a CG studio (formed via a partnership between Mikros Image Canada and TouTenKartoon) and the other a stop-motion studio (headed by Dragonframe co-creator Jamie Caliri). 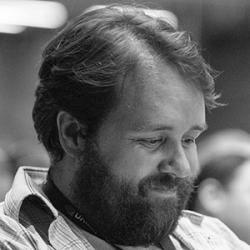 Working in both mediums was a challenge for Osborne, initially with the CG side. Osborne was conscious that his version of the Little Prince character had to evoke the memory of the book in the minds of his audience. But, he says, the character has in fact been represented many times in differing ways in various book illustrations and in animation. In the end, this new interpretation was about connecting with the spirit of the book. And one way that was achieved was by making everything in stop-motion out of paper. That meant that even items such as grass and The Little Prince’s scarf and the fox’s tail would be paper—all of which would need to blow in the wind. The animators devised a way to put a tiny piece of wire in the edges of the scarf, for example, so that they could keep the scarf paper without having something plastered underneath it.